The Saudi Falcons 24H Dubai Spotter Guide, supported by DailySportscar and RadioLeMans.com is now available to download. The guide has been released as 2 seperate pages with photographs in lieu of the usual illustrations. 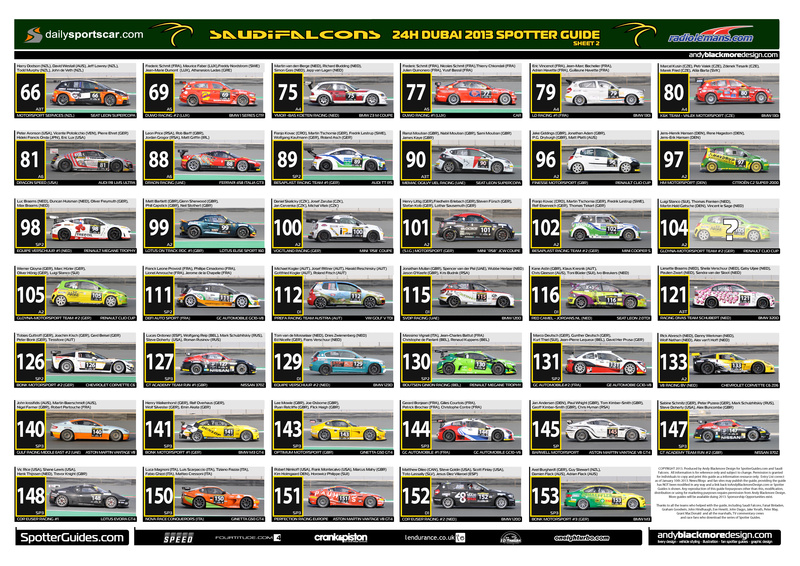 Spotter Guides are a perfect platform for a sponsor, team or series to get their brand into the hands of hard-core motorsport fans at the track or at home. 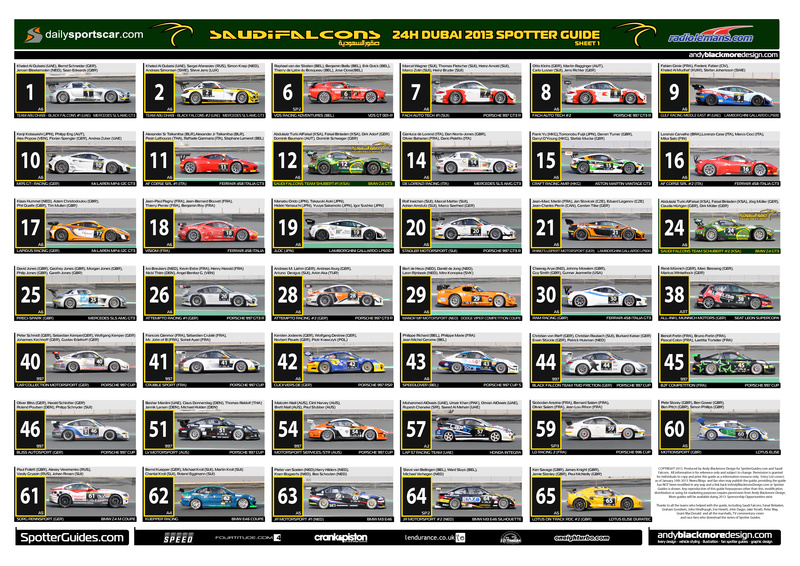 We are looking to expand the Spotter Guide series in 2013, but we need help of partners. As you can imagine, the Guides can take tens of hours to produce. If you are interest in becoming part of this exciting project, please do not hesitate to contact Andy. 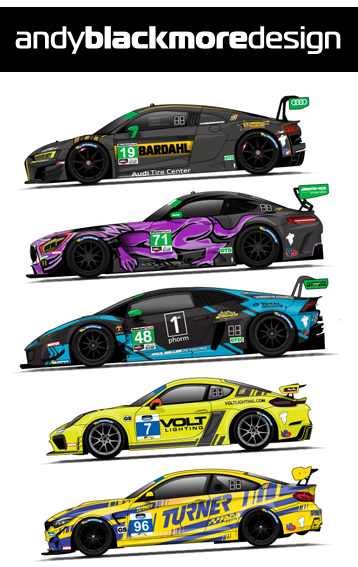 Thanks to our regular media partners, including RadioLeMans.com, DailySportsCar.com Fourtitude.com , Oneighturbo.com, Ten-Tenths, SPEED.com and l’endurance. 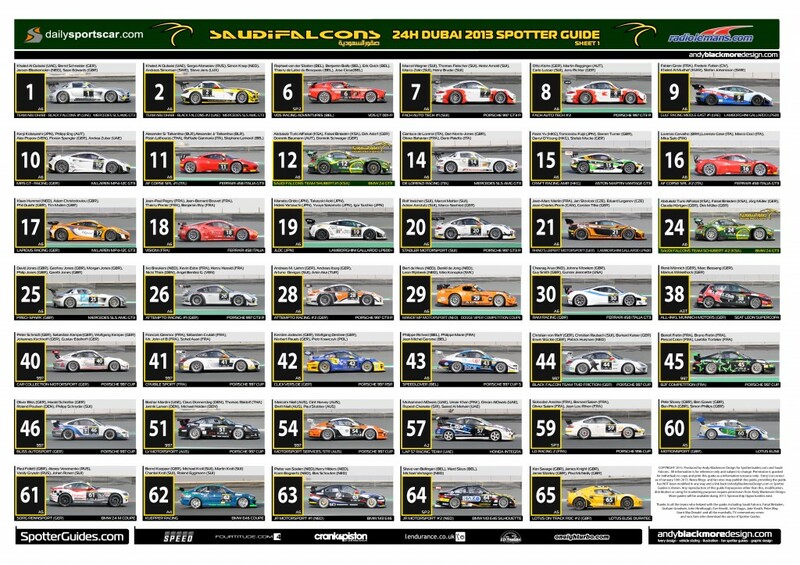 UAE’s Crank and Piston join the media support team for this guide.